Don’t you think choosing the correct headphones is very important as only the right headphones will provide you with the sound quality as you desire. Now buy Philips SHN600 noise cancellation in ear headphone that can give you the sound quality as you have always desired. These headphone features small efficient speakers that fit perfectly in your ear delivering clear sound with a rich bass. As the headset has a lightweight in ear design you can easily wear them for long hours without any discomfort.This headphone originally cost Rs.899. If you buy it from amazon.in you can buy them for only Rs.350. 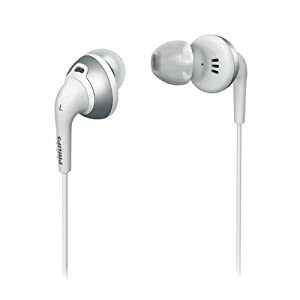 How to get this Philips Noise Cancelling In-Ear Headphone at discounted price of Rs 350? Click here to go to the Store Page to buy Philips headphone. These headphones are light in weight earphone. Thus becomes a simple and easy carry. Now listen to your music with highest sound quality. Rather also we can say move and groove your favorite music to all places you go to. Also this earphones helps you with the highest sound quality conversations.